Our busy and thriving Motor Vehicle Accident practice in Sydney requires the support of an experienced Legal Assistant to assist for a period of three months. You will be supporting an experienced practitioner and working as part of a high performing team. This role will help support and drive the practice. You can expect to be involved in a wide range of duties and take responsibility for administration aspects of client files. 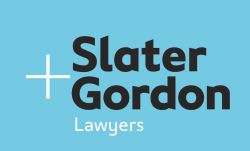 Slater and Gordon is a leading Australian Personal Injury law firm. Our people are passionate advocates for clients, providing a personal and caring service. We pride ourselves on offering accessible, world class legal services to people from all backgrounds and socio-economic circumstances. At Slater and Gordon you’re exposed to varied and interesting work and the constant opportunity to make a real difference to the lives of everyday people. environment that values and recognises high performance.